High temperature is harmful for small concrete batching plants, especially after the temperature of bearings is increased, smooth effect will drop and the mixing drum body will have thermal stress, then will lead to the broken of lining board screw; otherwise, high temperature is harmful for the operators of concrete mixing plant and the working efficient is not high. We can cool the electric motor of concrete batch plant or set the concrete mixing plant in the open air, because the flow air will cool the temperature of concrete batching plant. 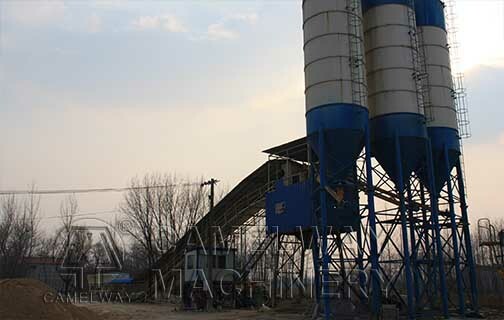 Zhengzhou CamelWay Machinery has produced concrete batching equipment which can satisfy your different requirements. If you are interested in the concrete mixing equipment, please feel free to contact us.